Pears and cardamom combine with cinnamon in a this rustic, no-fuss sweet treat. This Pear Cardamom Crumble can feed a crowd and is best served warm from the oven. This vegan dessert can easily be made gluten free by using gluten free certified oats. Preheat oven to 350 F and lightly grease a 9 x 9 baking dish. Prepare the pears. 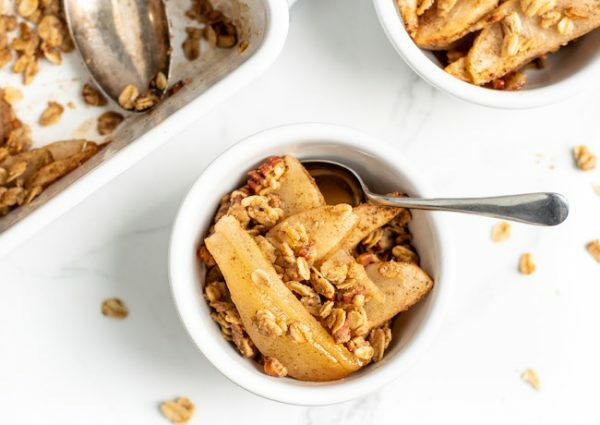 In a large mixing bowl combine pears, maple syrup, lemon juice, cinnamon, cardamom and salt and mix well until the pears are evenly coated with the spice mixture. Transfer pears to the prepared baking dish. 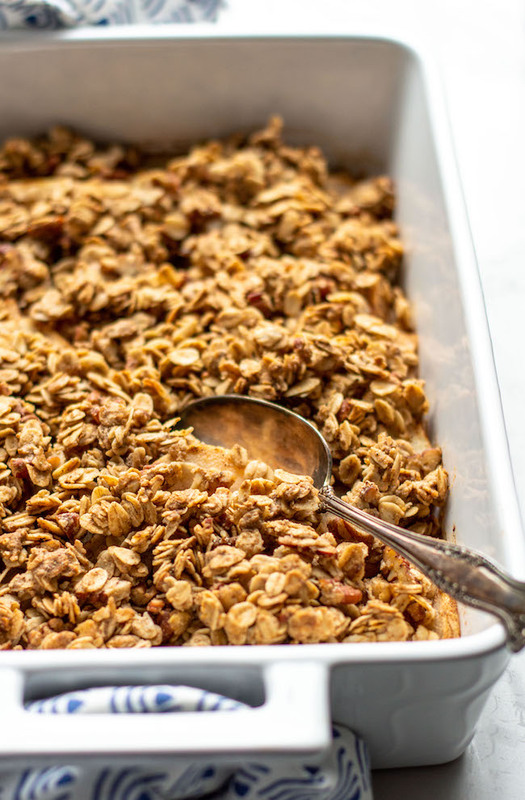 Prepare the oat crumble. In the same mixing bowl the pears were prepared in, combine the oats, oat flour, walnuts, cinnamon, cardamom and salt. Stir to combine. Add coconut oil and maple syrup to the oat mixture and stir to combine. The oat mixture should be wet but not soggy. Spoon the oat mixture over top of the pears in the baking dish. Bake for 30-35 minutes until oat crumble is golden brown and pears are very soft. Serve warm. 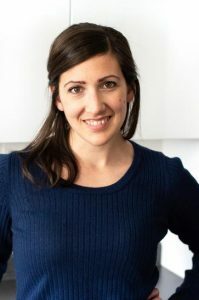 Rebecca is Holistic Nutritionist and the creator of Nourished - the blog, a whole food and veggie-obsessed recipe website. When she's not in the kitchen, you'll likely find her binging on her favorite Netflix shows, snacking on all things chocolate or soaking up lots of sunshine at the lake.